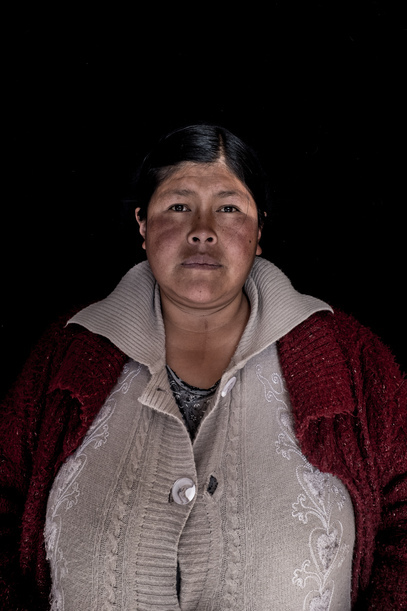 "I hope the hill does not run out" is a common phrase used among working women of Cerro Rico, a mountain located in the Andes of Potosi (Bolivia) famous for having had the most important silver veins in the world and having been the main support of the Spanish colony in America. 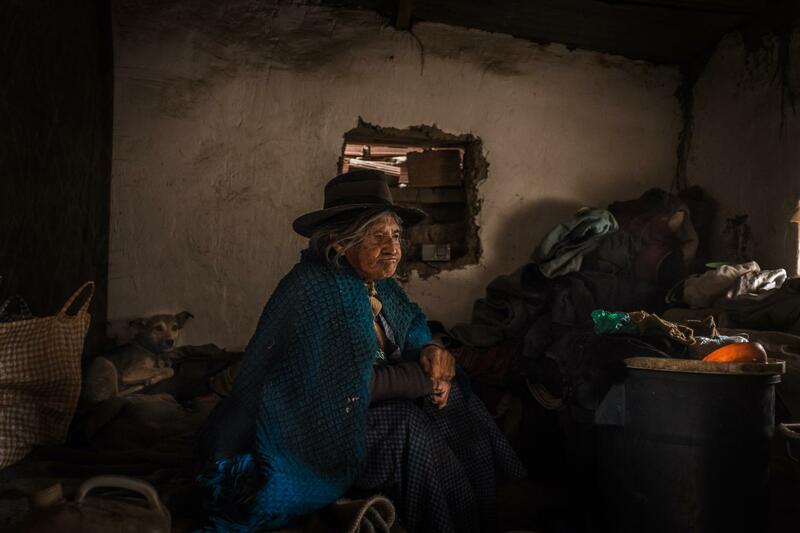 Paradoxically, the money that came out of Potosí did not make great changes in the lives of the inhabitants of the region where poverty is visible. 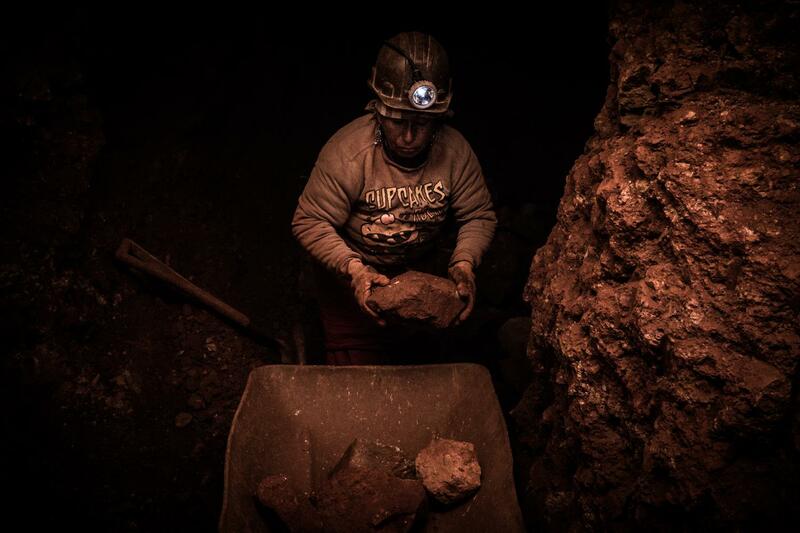 Legend has it that when a woman entered the mine, the devil, owner of the depths, hid the veins of silver so that they would not find them since their greed was greater than that of men. Thus, due to tradition and superstition, the entry of women into the mine was forbidden for more than 4 centuries. 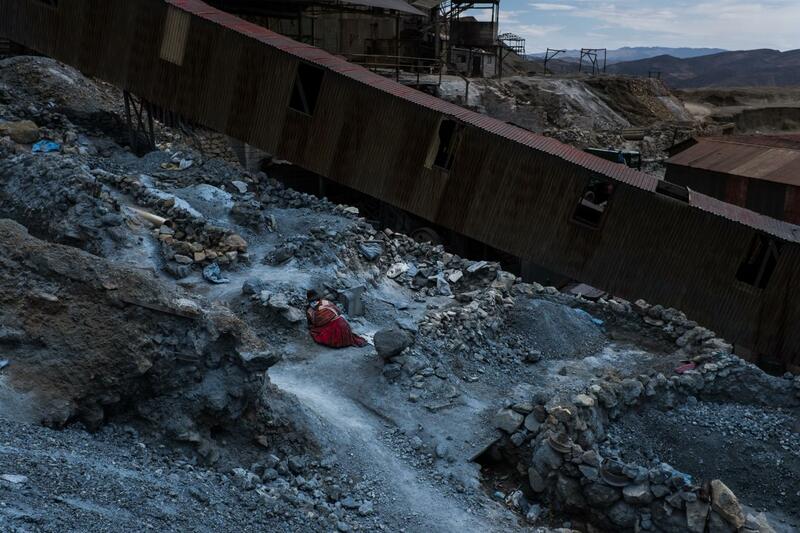 Nowadays, according to statistical data of the area, more than a hundred women work in Cerro Rico, being mostly victims of labor exploitation and a very noticeable lack of protection from the state of Bolivia. Isidora Condes, a woman who lost her sight 5 years ago holds a bag of coca leaves inside a room borrowed from the rich hill of Potosi. 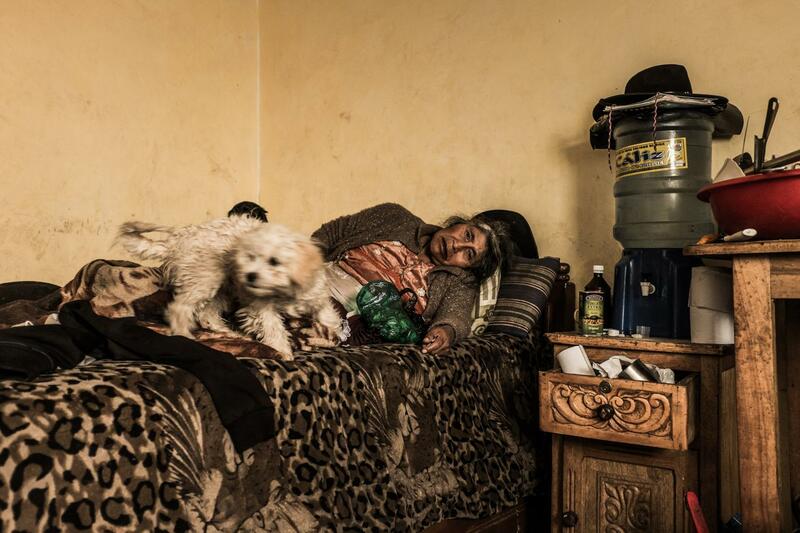 The situation is sad and it is repeated with many women who work in the mine.Isidora for lack of resources she lives in a borrowed room with her granddaughter and her dogs. Many of the women suffer vision problems because of the mineral dust that is in the environment. Rufina in her work clothes, fills a wheelbarrow with large stones with silver streaks in them. 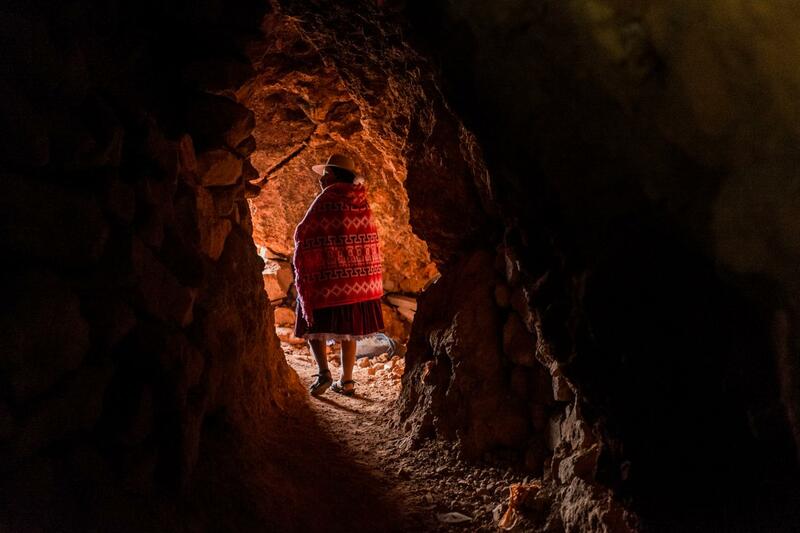 Rufina walks at the entrance to the mine where she works. She started working in the Cerro Rico (rich hill) because of her husband's death more than 7 years ago, she needed to take care of her 5 children and 3 grandchildren. Maria, old palliri from the Cerro Rico (rich hill), works in the Pailaviri clearing zone. Paliri is an Aymara word that comes from palla-ri which means "the one that seeks or collects"/María, antigua palliri del Cerro Rico trabaja en la zona de desmonte de Pailaviri picando rocas en búsqueda de mineral restante. Palliri es una palabra aymara que viene de palla-ri que significa "el que busca o colecciona".